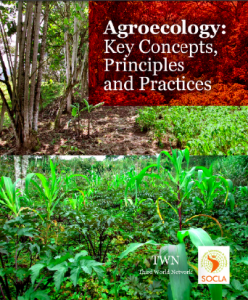 Applying agroecology to enhance the productivity of peasant farming systems in Latin America. The question of small farm development: who teaches whom? Modern Agriculture: Ecological impacts and the possibilities for truly sustainable farming. The Ecological impact of transgenic crops on agroecosystem health. The Myths of Agricultural Biotechnology: some ethical questions. Manipulating vineyard biodiversity for improved insect pest management: case studies from nothern California.